To date, the greatest researchers and scientists haven’t come up with any reasonable substitute for old fashioned exercise. Every creature needs it. Exercise is only part of the picture, though. As with humans, exercise has to be coupled with a good diet. For the feline diet, remember that cats are obligate carnivores – they must have the high protein and low carbohydrates that only come from meat. Good choices for your cat may be Instinct’s Raw (available in our freezer section) Instinct’s canned line of cat food or Purina OM for the ‘chunky’ cat. If your cat has an affinity for the crunchy, you’ll find the best kibble to sprinkle on your favorite kitty’s dish at our office. Since dogs are not obligate carnivores, they have a few more possibilities for their diet. You may want to have a look at Purina OM canned or dry or Instinct’s Raw. Unless your dog is extremely active, we don’t usually recommend Instinct’s kibble or canned food since they tend to be too high in calories. Since your dog’s nightlife might not be as active as your cat’s, he still needs exercise every day. Click here to discover creative alternatives to dog walking. If you have further questions about your pet’s diet or level of exercise, don’t hesitate to call us. We love to hear from you. A treadmill is hard work for dogs, too! 1. Doggie day care derails doggie doldrums. Most of our regular daycare customers are scheduled to come in on Tuesdays and Thursdays, which are incidentally, our favorite days of the work week! Just like parents of small children schedule “play dates,” you can schedule supervised time with other dogs. Having someone else in temporary control of your pet’s exercise and social interaction allows you the needed time to focus on other errands or duties. And your pet isn’t banished to a lonely house or back yard for a long stretch of time. Everyone wins! 2. Dog Walking: In Service. Some clients rely on Town and Country’s dog walking service for regular exercise. Others contract with us during their vacation or even after knee surgery. A 30-minute waist-slimming power walk goes for 10 bucks. Contact us for more details. 3. Neighborhood kids and responsibility. If you know a teen or mature pre-teen, consider hiring her for walking your dog. A long work day for you could be more interesting for your dog if he’s walked around lunchtime – or right after the school bus comes. 4. Take me out to the Bark Park. After the first visit, you may be singing a happy song, and so will your dog. In our area, there’s a Bark Park located in Elon right beside the Beth Schmidt Park. Don’t forget water for your pet to be sure she stays hydrated, and of course, keep a couple plastic bags in your pocket for efficient scooping and keeping the area clean. 5. Tread softly on a treadmill. If folks in Hawaii can teach a dog to surf, teaching a dog to walk or run on a tread mill is a cinch in North Carolina (or any other state with inclement weather.) The secret is to start slowly and steadily keep working. 6. YES to balls in the house. You know which toy or ball really gets your dog moving, so pick it up and throw it! Your dog may quickly “fetch” or think the object of the game is “keep away” but either way, he’s moving. You may not get two miles in this way, but every little bit helps and your creativity puts a smile on everyone’s face. 7. Sleeping cats, awake! 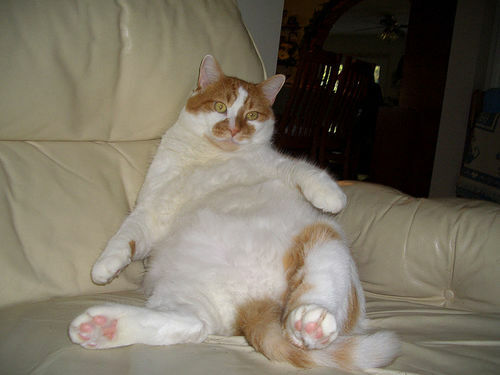 Most of our tips have been for dogs but cats need exercise too. Cat trees or toys on strings usually motivate the most reticent kitties. So what are your favorite ideas for pet exercise? Send them to us, or walk on over to our Facebook page and share them. 1. Exercising in a box. Have you ever heard someone say that their dog gets lots of exercise he’s in a fenced in the back yard? 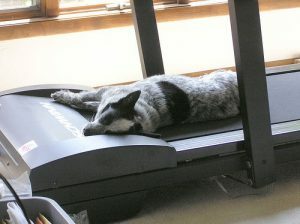 Dogs are not so different from us in regard to exercise. We like interesting exercise: a walk around the neighborhood trumps the yard every time. One of our nurse’s dogs is a great case in point. Her spaniel dashes outside to do her business and quickly races back to the door to be let back inside. Her favorite place on the sofa is still warm! In the wild, a dog would be motivated to either catch prey or avoid becoming prey by running very fast. In a confined area, a dog will stop when he’s tired and fail to get an elevated heart rate for any length of time. 2. “She doesn’t eat that much!” I hear a lot of statements in a given week that are just this side of the whole truth. Simply put, more calories in and less calories burned make a chubby pet. 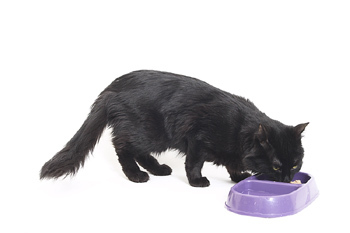 A straightforward solution is to measure the pet’s food before it goes into the bowl. If the regular kibble is at a reasonable level, the problem may lie in the treats. It’s very easy to fall into a pattern of rewarding good behavior with Beggin’ Strips, Busy Bones and sausage links, but they add up to too many calories! 3. Cats are carnivores. Outdoor/indoor cats may bring you offerings of a dead bird or a dead mouse close to your favorite slippers. It’s their not-so-subtle way of letting you know you should be very proud, and by the way, we really like meat. Dry food is almost all carbohydrates, and indoor cats don’t need that since they’re not burning lots of calories hunting for food. A high protein, low carb diet is best for your kitty. Raw is a very healthy and tasty cat food, sold in the freezer section at Town N Country. For more details, click here. 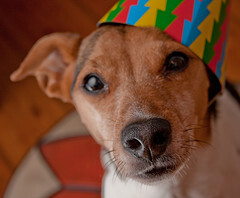 So – is it time for a New Year’s resolution for your pet? Working in a little more exercise for your pet often benefits the rest of the family. 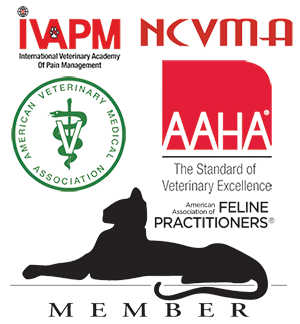 If you have questions about your pet’s weight, diet or exercise levels, don’t hesitate to call us! Image courtesy of Flickr and Lambchop. So What Are YOUR Resolutions for Your Pet? We hope you had a super holiday, and that you’re facing a wonderful new year. How many resolutions have you made for the year? And for us – the bigger question is – have you made any resolutions for you and your pet?! We’d love for you to share those resolutions with us! Email them to us, or post them on the Facebook page. And if we can help you with weight loss, exercise, social time, a more convenient preventative treatment (like Vectra 3D), or a better diet, please give us a call. Again – happy new year!